a couple of weeks ago. Those would indeed be historical. It is assumed that golfer’s fees will be used over time toward it and maintenance,etc. The club house ,the driving range and the golf course is really only used by a relative few compared to other parks and public venues,albeit it is open to everyone. I have no interest in golfing, though I like that there is a public golf course available for those who do. However, to even begin to think that the clubhouse fits the description of “historical site” is just bizarre to me. The building looks like any other, does not have any distinguishing features at least externally, and does not seem to meet the six points laid out in the code. Frankly I do not see how including the putting green would make it more “historical”. I do not know why the building is to be rebuilt, as it looks ok to me from the outside. It is my understanding that money for the improvements at Jefferson Community Center were previously approved. I don’t understand what the fuss about it now is. That recommendation apparently received overwhelming support from the community, but was shot down by the City. It would have demolished the current clubhouse and replaced it with something based on, in their own words, “the highly successful new Interbay facility”. Regarding the putting green issue, I don’t want to call the Landmarks Board members unprofessional, but making a remark about the effect of the putting greens on potential Board votes without hearing the actual history of the putting greens really indicates how arbitrary that process is. When Ms. Strong indicated she would have voted for the plan if it included the putting greens did she know that the putting greens didn’t exist in their current location for a number of years after the 1936 clubhouse was completed? Did she know that historically, the putting green was actually where the driving range is now and was only moved to the current location when the driving range was constructed years after the clubhouse was constructed. That would mean that the greens have more of a direct connection to the driving range than the clubhouse and that if you insist on including the putting green in the nomination, the driving range should be included as well, right? The current greens are definitely old, but they are only located where they are because the driving range needed to move to the current location. The fact that they are not original, yet are valuable, indicates that the value lies in the function, which is being replaced and improved. 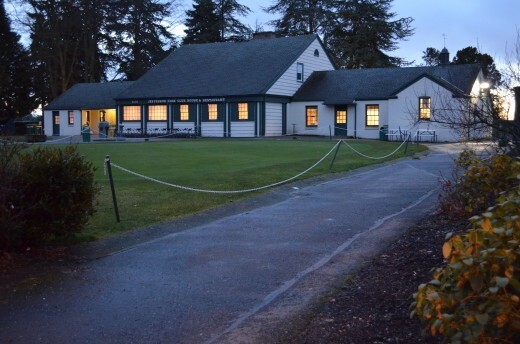 Regarding the comparison to West Seattle, their clubhouse is not only the original clubhouse for that course, but it is a much better foundation for a remodel than the current Jefferson clubhouse. Even though it is also in need of a remodel, West Seattle was named by Golf Digest only a few years ago as having one of the 50 best 19th holes in America. Jefferson Park Golf history IS interesting, but it involved a number of steps that began more than 20 years before construction of the original version of the current clubhouse. The greatest historical significance of Jefferson Park Golf is that of bringing public, accessible play to everyone, and that is tied more to the course itself and preserving all course functions, including the main course, the short-9, driving range, etc. than it is to a single building. If the original clubhouse that burned down in 1919 was still standing, I would say get the USGA involved and preserve it as a museum of American public golf and build a seperate clubhouse nearby. What we have now is a 1970s remodel of the third clubhouse at Jefferson. It isn’t worth saving based on history or function. It’s time to build a new facility that meets the needs of golfers and will also be able to provide services to other Jefferson Park users. That clubhouse has to go. Regardless if it’s a major remodel, or a complete teardown, any improvement will be an improvement. I go there several times a week for the driving range, the practice greens, or for the course itself, but I try to spend as little time in the clubhouse as possible. It’s not very comfortable, and the restrooms are very uninviting. Are there any golfers that are against the proposed plan?